"Ark of the Covenant" - Fate Of The Ark Revealed In THIS Hebrew Text! “Ark of the Covenant” – Fate Of The Ark Revealed In THIS Hebrew Text! A newly translated Hebrew text claims to reveal where treasures from King Solomon’s temple were hidden and discusses the fate of the Ark of the Covenant itself. But unlike the Indiana Jones movie “Raiders of the Lost Ark,” the text leaves the exact location of the Ark unclear and states that it, and the other treasures, “shall not be revealed until the day of the coming of the Messiah son of David …” putting it out of reach of any would-be treasure seeker. King Solomon’s Temple, also called the First Temple, was plundered and torched by the Babylonian King Nebuchadnezzar II in the sixth century B.C., according to the Hebrew Bible. The Ark of the Covenant is a chest that, when originally built, was said to have held tablets containing the 10 commandments. It was housed in Solomon’s Temple, a place that contained many different treasures. 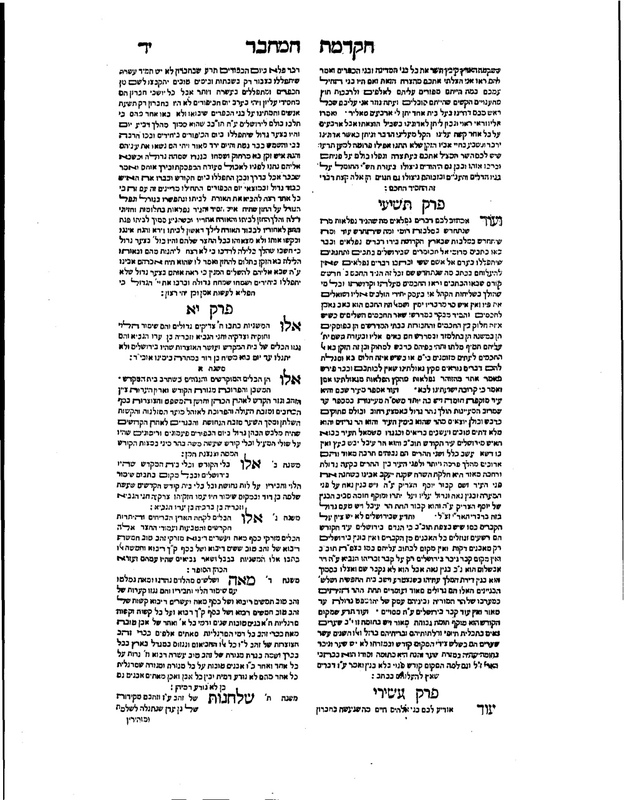 The newly translated text, called “Treatise of the Vessels” (Massekhet Kelim in Hebrew), says the “treasures were concealed by a number of Levites and prophets,” writes James Davila, a professor at the University of St. Andrews, in an article in the book “Old Testament Pseudepigrapha More Noncanonical Scriptures Volume 1” (William B. Eerdmans Publishing Co., 2013). The Treatise of the Vessels (Massekhet Kelim) is recorded in the 1648 Hebrew book Emek Halachah, published in Amsterdam. In the book the Treatise is published as Chapter 11 (one of its two pages shown here). The two pages also contain material from other book chapters. Credit: Scanned images courtesy www.hebrewbooks.org, they can also be seen here and here. The treatise is similar in some ways to the metallic “Copper Scroll,” one of the Dead Sea Scrolls found near the site of Qumran in the West Bank. The Copper Scroll also discusses the location of hidden treasure, although not from Solomon’s Temple. The oldest confirmed example of the treatise, which survives to present day, is from a book published in Amsterdam in 1648 called “Emek Halachah.” In 1876, a scholar named Adolph Jellinek published another copy of the text, which was virtually identical to the 1648 version. Davila is the first to translate the text fully into English. The writer of the text likely was not trying to convey factual locations of the hidden treasures of Solomon’s Temple, but rather was writing a work of fiction, based on different legends, Davila told LiveScience. “The writer draws on traditional methods of scriptural exegesis [interpretation] to deduce where the treasures might have been hidden, but I think the writer was approaching the story as a piece of entertaining fiction, not any kind of real guide for finding the lost Temple treasures,” he wrote in the email. The Copper Scroll, which dates back around 1,900 years, and is made of copper, shows several “striking parallels” with the newly translated treatise, Davila said. The treatise says that the treasures from Solomon’s Temple were recorded “on a tablet of bronze,” a metal like the Copper Scroll. Additionally, among other similarities, the Treatise of the Vessels and Copper Scroll both refer to “vessels” or “implements,” including examples made of gold and silver. “My guess is that whoever wrote the Treatise of Vessels came up with the same idea [of writing a treasure list on metal] coincidentally on their own, although it is not unthinkable that the writer knew of some ancient tradition or custom about inscribing important information on metal,” wrote Davila in the email, noting that metal is a more durable material than parchment or papyrus. See also: The Kolbrin Bible: A 3,600-Year-Old Manuscript Can Rewrite History As We Know It! The study of the treatise is ongoing, and discoveries continue to be made. For instance, in the mid-20th century a copy of it (with some variations) was discovered and recorded in Beirut, Lebanon, at the end of a series of inscribed plates that record the Book of Ezekiel. Those plates are now at the Yad Ben Zvi Institute in Israel, although the plates containing the treatise itself are now missing. Recent research has revealed, however, these plates were created in Syria at the turn of the 20th century, about 100 years ago, suggesting the treatise was being told in an elaborate way up until relatively modern times.